This product is available for purchase in select store locations or by phone. This product is available for purchase in select store locations only. This item is Out of Stock in our Stores but more is on its way. Please contact Customer Care for support. 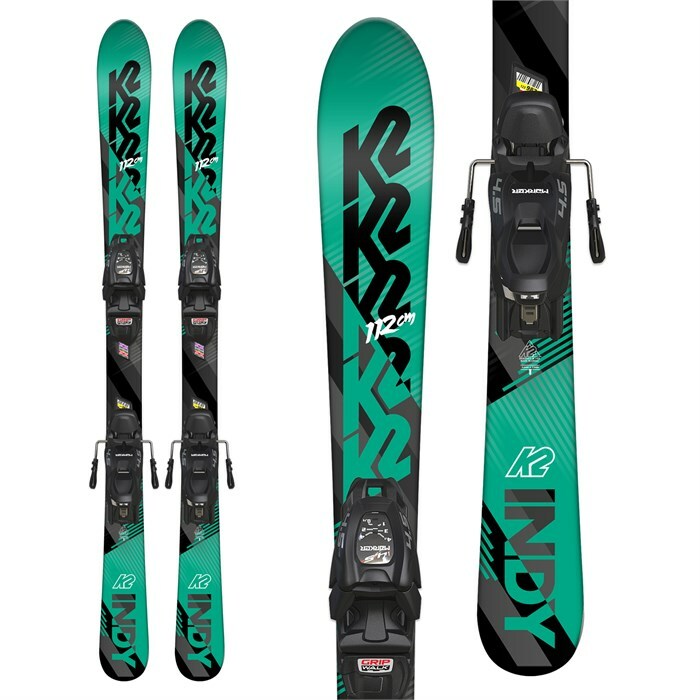 Help your grom take up a passion for the sport by putting them on a pair of K2 Indy Skis + Marker FDT 4.5 Bindings. These sticks feature lightweight DuraCap construction and a Catch-Free Rocker profile to make for easy turning and a predictable ride. The included bindings by veteran manufacturer Marker are reliable so you can rest at easy that junior is in good hands. Equip the next generation for proper fun with the K2 Indy Skis + Marker FDT 4.5 Bindings. Catch-Free Rocker  Effortless turn initiation at slow and moderate speeds with a gentle, gradual rise in the tip and tail. Duracap Construction  A molding process that envelopes the core and internal materials within the top layer of the ski. 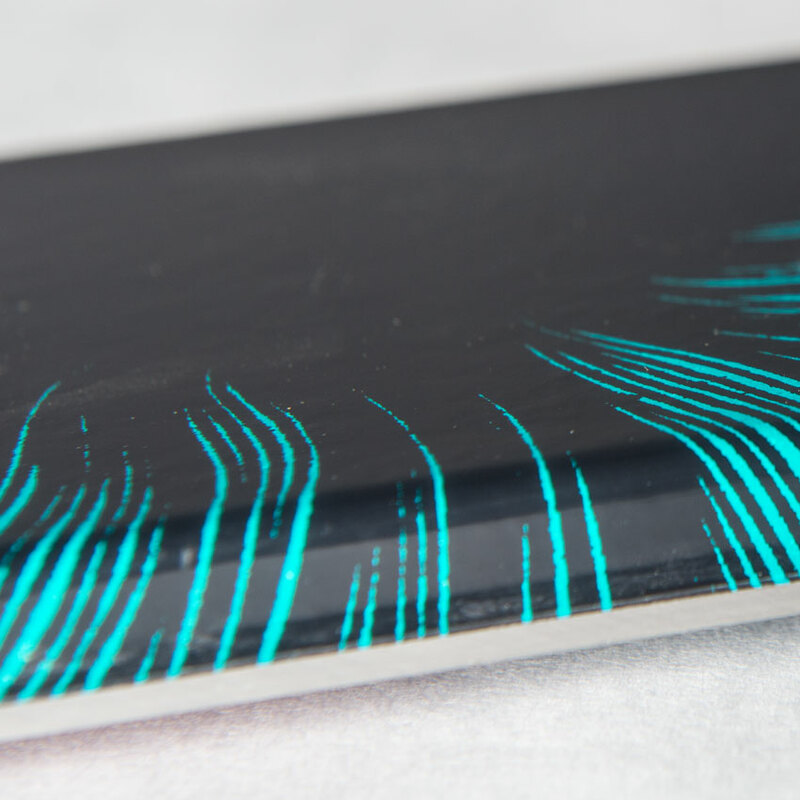 DuraCap skis are generally lighter overall, with enhanced durability and forgiveness. Bindings Do Not Come Mounted to Skis  Always have a certified binding technician mount and adjust your bindings. All-Mountain All-mountain skis are designed to handle anything you throw at them including powder, ice, groomers, steeps, heavy snow, and everything in between, but they aren’t necessarily a master of any one terrain. If you’re only going to own one ski to do it all, this is what you want. All-mountain skis generally have what we call mid-fat waists that range from 80-110 mm. Beginner-Intermediate Whether you’re new to the sport or working on linking smooth turns, you fall into this ability level. Typical beginner skis and snowboards are usually built with softer materials, narrower widths, and feature cap construction for an easy to turn, forgiving ride. Beginner-intermediate boots and bindings are also built for ease of use and progression, featuring softer flexes and in the case of ski bindings, quick and safe release from the ski in case of a fall. Rocker/Camber/Rocker Rocker/Camber/Rocker skis have the playfulness and float of a rockered ski as well as the added edge hold of a cambered ski. The contact points on skis with this profile are closer towards the middle of the ski than a fully cambered ski, but still not underfoot. The cambered midsection provides a longer effective edge on hardpack, increasing edge hold and stability, while the rockered tip and tail provide floatation in deeper snow and allow the ski to initiate and release from turns easier. Partial Twin Tip Partial twin tip skis have a tail that is turned up, but not as much as the tip. This gives you the ability to ski backwards and back out of tight spaces, but these skis are mainly designed to ski forward. Need to return an item? Take up to a full year! Expert staff, service, events, galleries, demos & more! Easy to reach expert advice. Ready to help!